Norwich has a challenging program that is linked to an established university. Develop a thorough understanding of military history and global conflict by earning your Master of Arts in Military History online from Norwich University. Designed as a comprehensive examination of global military history, this highly regarded online master’s degree improves on your proficiency as a historian, and places our world’s military achievements and conflicts in chronological, geographical, political, and economic context. Founded as the nation’s first private military college, Norwich University is an important part of America’s proud military history. Our Master of Arts in Military History program reflects, honors, and extends Norwich’s military heritage. Build a wide base of historical knowledge in the field of military history. Learn from expert faculty to improve your historical insight, research, writing, analysis and presentation skills. Explore different theaters of conflict, including America, Asia, Africa, Latin America and China. Benefit from our unique curriculum, which is informed by the American Historical Association. *Rankings are based on undergraduate programs and on students who received the average level of need-based finanical aid. Help us learn more about your experience and see if you qualify for the Master of Arts in Military History program. Norwich’s military history program curriculum is composed of six courses, each of which is delivered over 11 weeks for a total of 36 credit hours. Students master one course at a time, to create a strong foundation of knowledge and context for future topics. Develop the critical thinking, research, writing, and analytical skills necessary for work in the field of teaching at the secondary or post-secondary level, or in public history venues, as well careers in professional writing, and to prepare students for Ph.D.-level work in history. Apply historical knowledge within the field of military history. Increase awareness of differing historical interpretations and develop the ability to synthesize diverse types of historical knowledge. 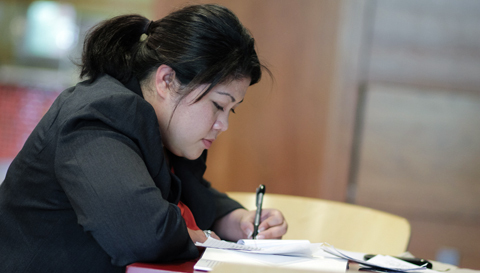 Conduct research and expand their writing, analysis, and presentation skills. Learn to think like a historian and develop historiographical sensibilities and historical habits of mind. Every student in the military history program begins with a history and historiography introductory course followed by elective courses. This introductory course examines the development of military history as a topic of study and trains you in the key disciplines of historiography and methodology. Historiography examines historical thought and research from the first works of history in the classical world to those of the present. You will explore historical methodology and informational literacy, the ways historians gather information and formulate hypotheses, the development of research methods including the use of primary and secondary sources, and the challenges of objectivity, selectivity, and bias in historical interpretation. Students select three courses below to fulfill their second, third, and fourth course in the military history program. This course examines the global patterns of warfare, on land and at sea, from the ancient world to the eve of the Industrial Revolution. Special emphasis is placed on continuity and change in warfare, as well as the impact of socioeconomic and cultural factors. This course examines the most influential military theoreticians and strategists from the period of the Thirty Years’ War to the present. You will examine the theories of Clausewitz, Jomini, Douhet, Mahan, Corbett, and Mao Tse-Tung, as well as the theories of deterrence and nuclear war and post-Maoist revolutionary warfare. This course examines some of the major historical factors that have shaped the military trajectory of the modern extra-European (and North American) world, comprising China, Israel, Middle East, Africa, India/South Asia, Ethiopia, Latin America/South America, and Turkey/Ottoman, with particular focus on the 19th and 20th centuries. This course provides an introduction to Chinese military history and covers topics including military thought, strategy and tactics, technologies, and cultural factors as they pertain to the waging of war. You will be introduced to the latest scholarship and interpretations and will be encouraged to engage in comparative thinking throughout the class. In the process, you will attempt to determine if any society approaches warfare uniquely or if universal approaches outweigh the specific. This course examines America’s unique experience of warfare and the development of military institutions and military policy in the United States. You will explore the country’s military history from the Colonial era to the present, with an emphasis on the Revolutionary War, Civil War, frontier wars, America’s rise to great power status, World War I and World War II, and the conflicts of the Cold War era. Throughout the course, you will also examine the efficacy of the Russell Weigley's “American Way of War,” as well as America’s civil-military relations. This course covers the complex issues surrounding racial integration in military institutions, including questions about citizenship and ethnicity. You will also examine the history of women’s participation in warfare and issues of gender integration in the military. This course examines the origins of the concept and practice of “total war” in the period from the French Revolution to the end of the Cold War. The French Revolution, Napoleonic Wars, American Civil War, World War I, and World War II will be studied. You will also examine the evolution of modern war, the characteristics of “total war,” and the usefulness of the concept in describing such massive conflicts. Required for all students in the military history program. This course is designed to help students gain a detailed, graduate-level understanding of specific areas or topics in military history and historiography that will prepare students for comprehensive examinations, capstone papers/thesis projects and for teaching. As a degree requirement, you will write and submit a capstone paper that explores in depth a program-approved topic of your own choosing that demonstrates effective use of appropriate academic sources. The expected length of the capstone paper is 45 to 50 pages. The optional master’s thesis is an original research project demonstrating your ability to conduct primary-source research and demonstrate mastery of the historiography germane to the research question. This option is recommended for those interested in continuing their studies in history at the doctoral level. The thesis must reflect graduate-level analysis, synthesis, and argument and make a compelling case for the argument's historical and historiographic significance. Students interested in this degree completion option must petition the Capstone/Thesis Director during the second semester. The petition must be accompanied by a thesis proposal and letters of recommendation from two faculty members of the Master of Arts in History or the Master of Arts in Military History program. The thesis option is, at minimum are two 11-week three-credit seminars. Accompanying sustaining and thesis fees will be applied. Prerequisites: Approval of thesis petition and successful completion of the five previous core courses. This is the first of two required seminars for the thesis project in the History and Military History programs. Students will conduct primary and secondary source research and write drafts of their thesis under the guidance of a faculty thesis advisor. Students pursuing a research question requiring primary and/or secondary sources in one or more foreign languages must demonstrate advanced reading proficiency in the pertinent foreign language(s). External assessment such as the Defense Language Proficiency Examinations, Foreign Service Institute examination or reading comprehension tests approved by the American Council on the Teaching of Foreign Languages will be used to assess foreign language proficiency. If required for the research project, proof of foreign language competency must accompany the petition for the thesis option. Thesis and additional fees will be applied. Prerequisites: approval of Program Director, Associate Program Director for Academics and Capstone Director, successful completion of Seminars 1-5, and, if applicable, advanced reading knowledge of the pertinent foreign language(s). The second of two required seminars for the thesis project. Students will continue their research related to their thesis and will write a final version of the thesis under the guidance of their thesis advisor. Upon approval of the thesis advisor, the student will submit their thesis to their thesis committee and schedule an oral defense with his/her advisor and program thesis readers. A successful oral defense and final manuscript meeting the approval of a majority of the thesis committee will result in a grade of S (Satisfactory). Our online Master of Arts in Military History program ends in a residency at the historic Norwich University campus in Vermont. During this time you will have the opportunity to meet with fellow students, faculty, and program staff in both formal classroom and informal settings. Academic recognition ceremonies and commencement cap off the week, and family and friends are encouraged to attend. When applying for the Master of Arts in Military History program at Norwich University, there are two essential factors to consider: what does it cost, and how can you pay for it? There are many ways to get financial assistance and several financial strategies that can help you achieve your academic and professional goals. We are here to help you identify and pursue the options that are best for you. The online Master of Arts in Military History program attracts highly motivated and passionate students from across the country. Our graduates have leveraged their in-depth exploration of military history and the key skills they have developed in their professional and personal lives. Read more about our Master of Arts in Military History student outcomes. MAH graduate to take on role of Chief of Marine Corps History and Director of the Marine Corps History Division. Alumnus advances to Director role at the National Archives Research Services (RDT). Independent military historian and freelance writer launches online portfolio website. Alumna receives several grants for doctoral research. At the heart of the Master of Arts in Military History program is our faculty. They include prolific authors and editors, prominent speakers, and nationally recognized experts who regularly present their work at the annual Society for Military History conference. In addition to cultivating a highly interactive learning environment, faculty members serve as mentors to students throughout their program of study. David J. Ulbrich was named program director and associate professor in the Master of Arts in History and in Military History programs in August 2017. 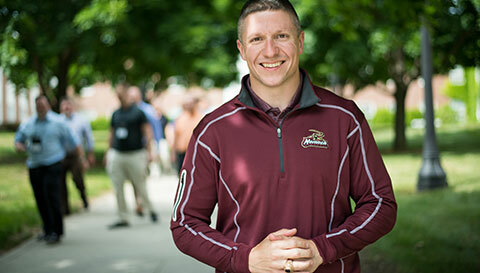 He served as an adjunct instructor, course developer, and capstone advisor for Norwich University from 2007 until 2017, before he joined Norwich in his current capacity. During those years, Ulbrich taught more than 200 students and advised more than 40 capstone projects. Ulbrich previously taught at Ball State University, Ohio University, and Rogers State University. He earned his doctorate in history in 2007 from Temple University where he studied with Gregory Urwin, Richard Immerman, and the late Russell Weigley. Ulbrich is an award-winning author, instructor, and consultant. Ulbrich's first book, Preparing for Victory: Thomas Holcomb and the Making of the Marine Corps, 1936-1943 (Naval Institute Press, 2011), won the “2012 General Wallace Greene Jr. Prize” from the Marine Corps Heritage Foundation and an honorable mention for “2012 Samuel Eliot Morison Book Award for Naval Literature” from the Naval Commandery of New York City. Ulbrich and co-author Matthew Muehlbauer published the second edition of Ways of War: American Military History from the Colonial Period to the 21st Century (Routledge, 2017). Muehlbauer and Ulbrich also co-edited The Routledge History of Global War and Society (Routledge, 2018). Together with co-author and long-time Norwich instructor Bobby Wintermute, Ulbrich most recently published the Race and Gender in Modern Western Warfare (DeGruyter Oldenbourg, 2018). Ulbrich’s future projects include revising a textbook on World War II and co-editing an anthology on the history of amphibious warfare. Ulbrich’s articles and reviews have appeared in such periodicals as War and Society, Journal of Military History, War in History, Journal of Asian Studies, Marine Corps University Journal, Marine Corps Gazette, Rethinking History, and Army History. Two of his articles are receive the “Robert Debs Heinl Prize” outstanding article on Marine Corps life and history. Ulbrich’s contributions to Marine Corps history were also recognized in the “2012 Edwin Simmons-Henry Shaw Award” for distinguished service to the U.S. Marine Corps History Division. Ulbrich has lectured widely on military history at the British Library, International Committee on the History of the Second World War (China), Australian Defence Force Academy, University of London’s Institute of Historical Research, National World War II Museum, U.S. Army Heritage and Education Center, U.S. Naval War College Museum, Marine Corps University, Ohio University’s Center for Contemporary History, Temple University’s Center for the Study of Force and Diplomacy, Cantigny First Division Museum, and New York Military Affairs Symposium. In addition to academic employment, Dr. Ulbrich possesses significant experience in the Public History field. In 2015-2016, he worked as a contract history for the U.S. Army. From 2009 to 2013, he served as a civilian historian at the U.S. Army Engineer School in Missouri. From 2007 to 2009, he worked as a historical consultant and on-air segment host for the award-winning “Echoes of War: Stories from the Big Red One” television documentary; and as co-director of the Cantigny First Division Oral History Project. Both these projects were generously funded by the Robert R. McCormick Foundation. Get to know the graduates of Norwich’s online Master of Arts in Military History program. It's my educational goal to pursue a doctorate degree. 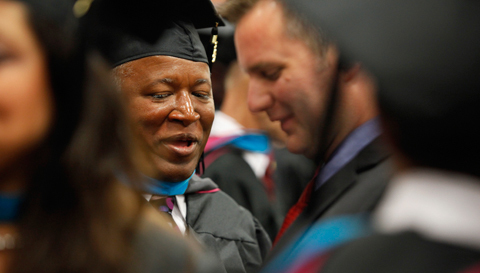 Earning a master's degree is the first step. I wanted to earn an advanced degree; I always want to learn more and Norwich offered me an advantageous way in which to enhance my understanding of the field. What courses can I take in the military history program? After completing the program’s core courses, students can choose from a variety of courses specific to their interests in the field of military history. Course topics include historiography, Western military history, Asian military history, U.S. military history, Total War theory, and the role of race and gender. Yes. The last course of the program is devoted to your capstone paper. An optional thesis track provides the opportunity for a focused research and scholarly investigation in addition to your coursework. The thesis option extends the program time to completion by at least one additional semester. How long is the military history program? The program’s six courses (each six credits) take approximately 18 months to complete. Depending on when you start the program, you can expect your degree to be conferred in 18 to 24 months. Thesis students will spend an additional seminar to complete their studies. While some military history students enter the program with specific career goals, others complete the program to fulfill lifelong personal goals or interests. Nearly every year, one or more military history graduates enter a PhD program, though as a percentage of the entire class the number is quite small. Military history alumni are employed by the U.S. Army, Navy, American Defense Systems Inc, Boeing, and other organizations. They work as writers, archivists, museum personnel, and in positions not directly related to the field. How are the military history program faculty members selected? Military history program faculty all have terminal degrees, and have extensive subject matter expertise in military history, American history, or both. They must demonstrate a wide range of university/college-level teaching experience, and a strong research record. Our faculty members are also active in publishing their academic scholarship, presenting at conferences and editing manuscripts. An undergraduate GPA of 2.75 or higher (overall or in a relevant undergraduate major, such as history or political science). TOEFL — a minimum score of 550 (paper-based test) or 80 (internet-based test) is required. IELTS — a minimum composite score of 6.5 is required. Presentation of a baccalaureate or master’s degree from an institution in which the primary language of instruction was English. How much is the online Master of Arts in Military History program?